Having a reliable, durable hydraulic pump supplying your equipment with pressurized fluid is obviously essential. So it is definitely worthwhile to invest in quality pumps. This is especially true in heavy-duty applications. But at the same time, you wouldn’t want to overpay for your pumps, or choose a pump that guzzles too much energy. To end this dilemma, simply choose Oilgear hydraulic pumps in Norco CA. These pumps are not only designed to have a fast response time and reliable performance; they also last longer and consume less energy than the competition. Bottom line? You get to enjoy superior performance with a low total cost of ownership, simply by choosing Oilgear hydraulic pumps in Norco CA. Bernell Hydraulics makes it easy to get the high-quality Oilgear equipment you need. Whether you are shopping for fixed pumps or variable pumps, we have plenty of options in stock. Anything we don’t have on hand we can easily order for you direct from Oilgear. 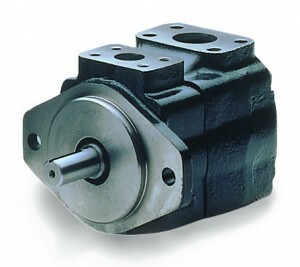 If you are shopping for Oilgear hydraulic pumps in Norco CA, you have the option of local delivery for your new parts. It may also be convenient for you to come to one of our store locations. However, if you prefer we are also happy to ship your parts to you. Need Help With Your Oilgear Hydraulic Pumps in Norco CA? Bernell Hydraulics is much more than just a store selling new Oilgear hydraulic pumps in Norco CA. We also provide expert repair services for all your hydraulic equipment. We can even come work on your equipment on site if needed. You can rely on our techs to help keep your Oilgear pumps performing their best as long as possible.